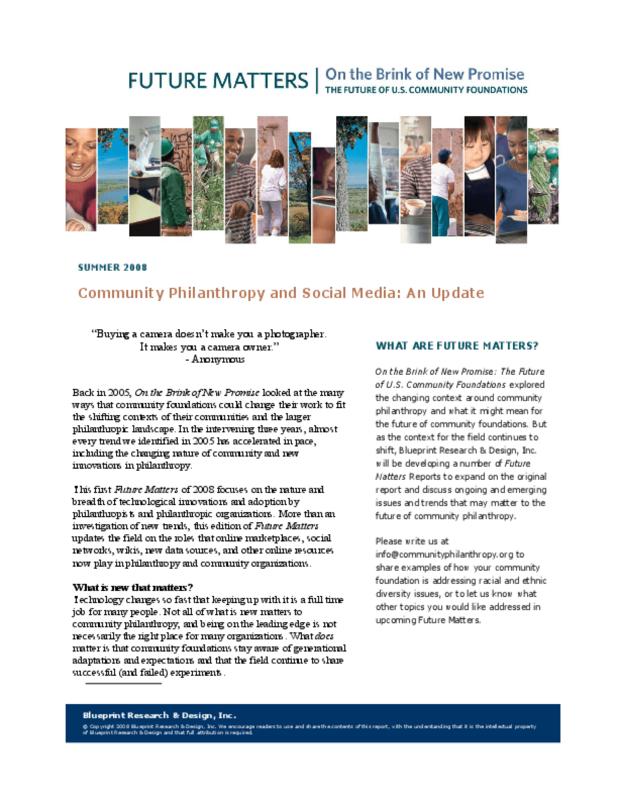 Summarizes trends in technological adoption by community foundations since 2005 and the role online marketplaces, social networks, wikis, and other resources play in community philanthropy. Discusses emerging developments and their implications. Copyright 2008 Blueprint Research & Design.